hightouchmegastore: Tiny everyday treasure hunt. Today I was preparing to read, with my students, Muriel Rukeyser's sequence The Book of the Dead, which was based on the Hawks Nest Tunnel disaster, in which hundreds of miners were sickened and died due to silicosis. As I was preparing, I looked up, to remind myself, the ancient Egyptian Book of the Dead, which (you may already know this--I didn't, or had forgotten--) in Egyptian probably meant, literally, something more like the book of emerging forth into the light or book of coming forth by day. This book was composed by many priests over the course of a millennium, and was, in fact, not really a book so much as a series of texts that, over time, comprised a whole funerary tradition, texts and spells taken into the sarcophagus with the dead to guide them on their passage through the underworld. While I was reading this, scanning and scrolling, I happened upon this fact: the text was written in both hieroglyphic and hieratic script. Hieratic script? I said to myself, because (a) I happened to know the meaning of this word, or at least I thought I did--I used it in a poem once, and at that point I knew what it meant--and (b) I did not know it was a form of writing. The top row is the hieratic--the bottom is the hieroglyphic. Cursiveness is the degree of joined-ness or connected-ness in the elements of the script. 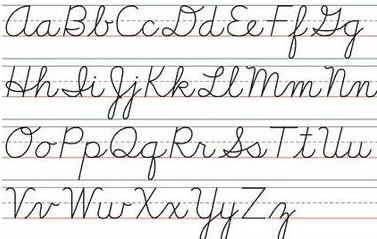 The more connected, the more cursive. Cursive is by definition quicker than print, and hieratic was quicker to write than hieroglyphics, although it's clear that the hieratic signs still referred strongly to the hieroglyphs. One time I saw an exhibit of Japanese calligraphic works in the Ando Gallery at the Chicago Art Institute. I love this space. I've been there a number of times. 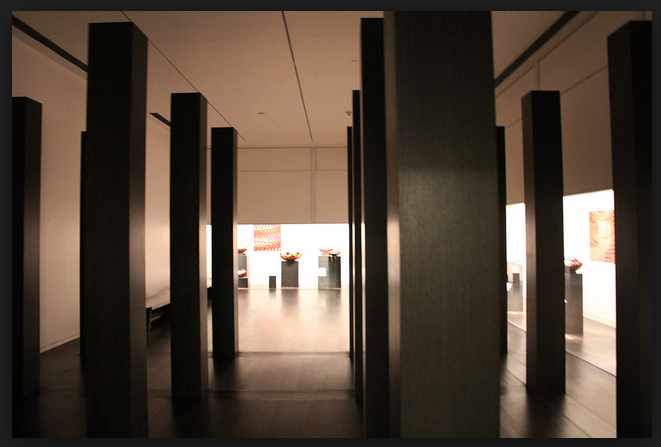 It's cool and dark and quiet, ideally anyway--often enough, for a public space like a museum. The ink strokes on some of the pieces were so thick and bold, there was barely a lightening or lifting of the the brush. 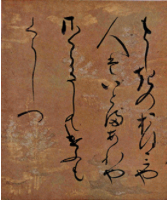 The characters connected by joints or tendrils of ink. I loved these Persian practice pages so much (I've looked, but can't find the images that I saw back then) that I wrote a poem about then, a poem about cursive writing, a few years ago. I recently took this poem out of my newest manuscript, but now, I'm thinking I'm going to work on it some more. I think it might still have something to say to me--something about writing itself, the ways that these scripts are spells for the journey. Very in love with "a spell for the journey." In the middle of the middle. Personal cinematic history: Michael Clayton. Road trip diary, Day 4. Road trip diary, day 3. On children and the past. My life in several lists. A few items have come to my attention. My personal cinematic history: Pitch Perfect. My little box of worries. Angels and Platonists shall judge the dog. Update on the "Just Enjoy It" Project.